The core concept originates from one of the protagonists in Bram Stoker’s Dracula, namely Van Helsing, the legendary vampire hunter, in this case set in a similar universe that resembles Europe in the 19th century, where monsters, magic and weird technology is real. Our protagonist is the son of the legendary Van Helsing who takes upon himself his father’s duties – a young man trained to slay monsters and rescue innocent souls, confident in his abilities as a hunter but still lacking the experience in using these abilities in real life. Young Van Helsing is a gothic noir hero with a flair for the dramatic and Romantic gloom, who sees the world in black and white, taking everything a bit too seriously. He is the protagonist of his own grand tale, narrating his own adventures almost continuously. And now he will face the most incredible adventure of his life, when the strange twist of fate brings him to the aid of the ancient and noble monsters of Borgovia threatened by a menace even more frightening than they ever could have imagined. Now the vampire lords and the werewolf clans need the greatest hunter of all times to fight the scientific nightmares appearing in their realm, created by a Frankenstein-like mad scientist who intends to give birth to a new age of enlightenment. Van Helsing travels to Borgovia, to the kingdom on the very edge of the map, to the dark place where all legendary monsters used to roam. He will explore the snow-capped mountains and forests of the wilderness and walk the sprawling, gothic city of Borgovia, the town of black stones, marble spikes and gloomy courtyards where the helpless citizens need a new hero to free them from the nightmares of science. I’m what you would call a “casual” girl gamer. I like to game but I don’t do it as a full time hobby (like reading). I do own quite a few games but I’m rather particular in my gaming habits. I prefer hack & slash (H&S) RPG games that allow me to point and click. I also prefer smaller scale RPG games vs MMOs/MMORPGs – I prefer to play single player at almost all times. I’m not quite sure how I picked up The Incredible Adventures of Van Helsing but I’m really glad I did! Van Helsing has a steampunk alternative reality storyline – which I really enjoy! – and I really enjoyed my Arcane Mechanic character. I also loved my companion, Lady Katarina. Lady Katarina is a ghost bound to the Van Helsing family line – she was bound to Van Helsing’s father and now to this Van Helsing (Jr.). Lady Katarina is snarky, has her own skill tree, she can wear amour, wield a sword AND guns at the same time, has her own carry pack, doses herself with health potions, fights like a hellcat and picks up my loot. Best. Companion. Ever. The game itself is pretty short – even by casual gaming standards. I finished it in about 25 hours – and this includes times when I simply put the game on pause and walked away. While I have only played with one of the three classes (Arcane Mechanic), the game is short enough and the skill tree is different enough that the game seems to have pretty solid re-play value. One of the reasons I rated Van Helsing 4 stars instead of 5 are due to technical issues and the skill tree. The game froze on me quite, quite often. Thinking back, the game would freeze or get choppy every time I was mobbed by a very large group of enemies. Arrg! That is very frustrating! I would have to use Ctrl + Alt + Delete to back myself out of the freeze. The Skill Tree was rather silly (to me, at least). There were a lot of different options to do tons of different things – most of which seemed to be a little silly and/or unnecessary. I did buy The Incredible Adventures of Van Helsing II, so I guess that says a lot, lol. 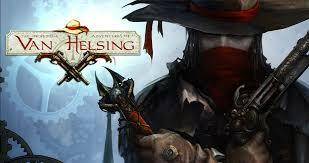 I do recommend The Incredible Adventures of Van Helsing.